I’ve just written a book on language teaching methods, in which I revisit 30 different methods and their founding fathers. I use the term ‘fathers’ deliberately, since not a single method was designed by a woman – although it’s a safe bet that a good few women were involved in the actual teaching of these methods. Think about it: Thomas Prendergast, Wilhelm Viëtor, François Gouin, Lambert Sauveur, Otto Jespersen, Maximilian Berlitz, Henry Sweet, Harold Palmer, Michael West, Robert Lado, Charles Fries, and so on, and on. The one woman I wanted to include, Sylvia Ashton-Warner (see S is for Sylvia) was ruled out eventually, on the grounds that she was a teacher of first language literacy and never directly involved in second language teaching. As far as I can tell, the only other woman apart from Rivers who gets a mention in Stern’s chronology, is Sandra Savignon, whose ‘seminal [sic] experiment on a communicative approach’ was published in 1972. One hundred years of language teaching: just two women. Of course, women are under-represented in the history of education generally. 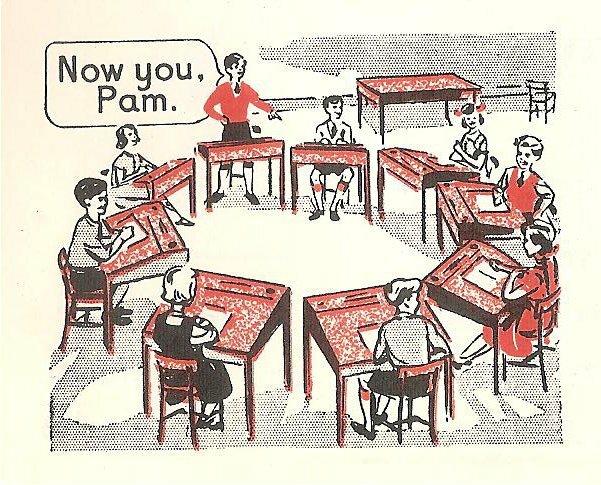 In a book called Fifty Modern Thinkers on Education: From Piaget to the Present, (Palmer 2001) only seven women are included (although, unaccountably, neither Maria Montessori nor Sylvia Ashton-Warner gets a look in). 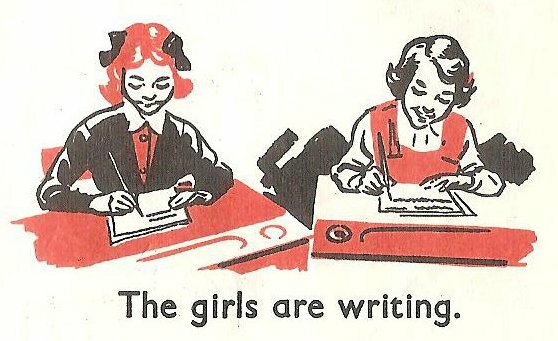 But language teaching – and English language teaching – seems to have been exceptionally male-dominated. Why might this be the case? One reason may have been the long association between English and empire, and the way that English language teaching was, as Pennycook (1998, p. 9) puts it, ‘a crucial part of the colonial enterprise’. Teaching English was an extension of colonial rule, and, like all the machinery of empire, an exclusively male domain. Even as the empire was being dismantled, ELT tended to attract young adventurers, often just down from Oxford or Cambridge. As Howatt (2004, p. 241) describes it, ‘long-distance travel was still by sea for most people, so taking up an overseas post was a serious commitment and short-term visits back to Britain were unrealistic for anyone employed outside Europe.’ Many of the outstanding innovators in the British ELT tradition were ‘formed’ in such contexts: Palmer in Japan, West in India, Halliday in China, and Widdowson and Brumfit in East Africa. The women who may have accompanied them and who no doubt helped sustain their professional activities go largely unremembered and uncelebrated, the one exception being Dorothée, Harold Palmer’s daughter, who collaborated with her father on a book on teaching English through actions. (According to Richard Smith , she also published an annotated phonetic version of a play in three acts called The Mollusc, ‘complete with tone marks’). Meanwhile, back in Britain, English language teaching was largely centered in London, the leading ELT institutions being the University of London, the BBC, and the British Council, none of which at the time were known for their gender inclusivity. You can’t help suspecting that an old-school-tie network effectively excluded women from anything but the most menial positions. A case in point was the novelist Olivia Manning, whose husband taught literature for the British Council in the 1940s, and whom she dutifully accompanied to Rumania, Greece, Egypt and Palestine, picking up whatever work she could. It wasn’t until the 1960s and 1970s that organizations such as the Peace Corps in the US and The British Council in the UK made it easier for women to launch their careers in ELT. As an example, in a recent autobiographical piece, Diane Larsen-Freeman (2017) describes how she taught with the Peace Corps for two years in North Borneo before returning to the US to study for a master’s degree in linguistics. She was among the many (notably North American) women, such as Evelyn Hatch, Elaine Tarone, Patsy Lightbown and Nina Spada, who helped establish applied linguistics as a discipline in its own right. Even so, when, in a recent survey (de Bot 2015), over a hundred leading applied linguists were asked to identify the leaders in their field, the majority of those named were men. ‘In addition, men tend[ed] to list more men than women as leaders, and women [did] the same’ (p. 40). Hence, the greater visibility of women in recent years cannot disguise or excuse the fact that the discourses of ELT are still largely male dominated – for evidence of which one need not look much further than the comments on these posts! (I am extremely grateful to Nicola Prentis, and the long conversation with her that inspired this line of inquiry). de Bot, K. (2015) A history of applied linguistics: from 1980 to the present. London: Routledge. Howatt, A.P.R. (with H.G. Widdowson) (2004) A history of English language teaching (2nd edn.) Oxford: Oxford University Press. Larsen-Freeman, D. (2017) Just learning. Language Teaching, 50/3. Palmer, Joy. A. (ed.) (2001) Fifty Modern Thinkers on Education: From Piaget to the Present. Oxford: Routledge. Pennycook, A. (1998) English and the discourses of colonialism. London: Routledge. Smith, R. (1999) The Writings of Harold E. Palmer: An Overview. Tokyo: Hon-no-Tomosha. Stern, H.H. 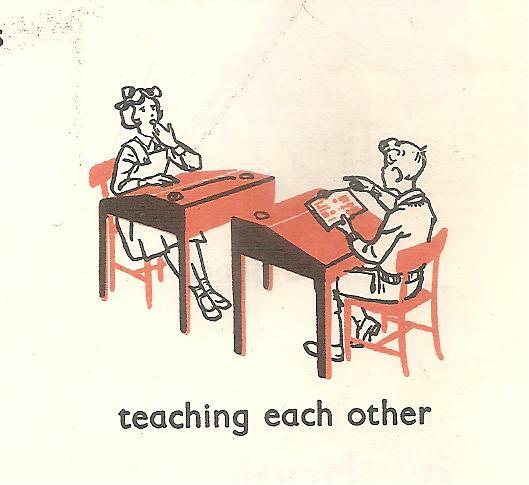 (1983) Fundamental Concepts of Language Teaching. Oxford: Oxford University Press. This is a summary of the keynote talk I gave yesterday at the IATEFL Learning Technologies and Teacher Development Joint SIG Conference, titled With or Without Technology, held at Yeditepe University, Istanbul this weekend. Why Dogme is good for you. Because the conference theme focuses on teacher development (TD), in both its ‘plugged’ and ‘unplugged’ manifestations, it’s perhaps timely to review the case for ‘teaching unplugged’, otherwise known as Dogme ELT (hereafter just Dogme), and try to situate it in relation to teacher development generally. it just doesn’t work, period. Far from attempting to refute any of these claims, I would argue that they are in fact irrefutable. Method comparison, as a science, is dead in the water. There’s no controlling for all the variables, and sample sizes are usually too small to generalise from. And so on. So, for argument’s sake, I will simply accept that for some teachers these claims are plausible (just as for others the claims made for Dogme are equally plausible), and I will move on. (At the same time, whether or not the above claims are true, I don’t think Dogme has done anyone any harm. It’s not like HIV-denial or the anti-vaccine lobby. I don’t know of many students who have died because their teachers didn’t use coursebooks. But I may be wrong). Dogme is by no means the first platform from which these claims have been challenged, but for reasons I still don’t entirely fathom, it seems to have been very successful at articulating its critique and broadcasting it to practising teachers. (The concurrent boom in online communication may have had something to do with it – an irony not lost on Dogme’s critics). …I’m buzzing at the moment ‘cos I’ve been lucky enough to hit on a couple of new groups who seem to have invented dogme themselves, and the things we’re coming up with together are stunning me into a state of ‘I’ve never loved teaching so much before – but is this really teaching?!’. Well, it certainly seems to be learning – enthusiastically and really joyfully – for all of us. And thanks to everyone in the group for helping me better appreciate what’s happening! 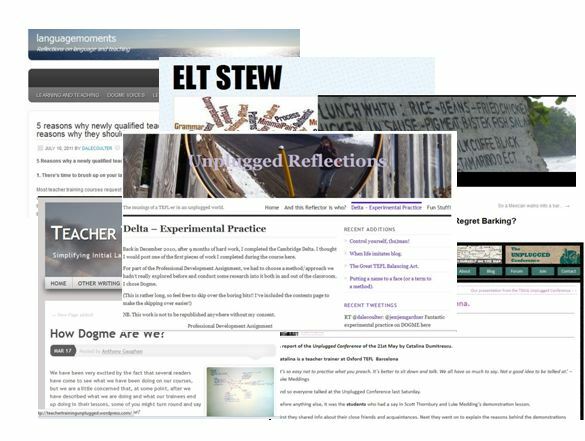 Like the Dogme critics, the Dogme enthusiasts have also turned to blogging to get their teacher development message across. One notable instance of grassroots, collaborative Dogme-inspired teacher development was the ‘teach off’ that Chia Suan Chong initiated last month. Whatever doubts you might have about its scientific rigour, the buzz that it generated was truly remarkable. @kenwilsonlondon: #DogmeELT I couldn’t understand why my best lessons were when the class more/less forced me to abandon the plan. Now I know! @esolamin; Haven’t followed Dogme as such, but ‘unplugged’/improvised activities produced more ss participation & interest, I found. 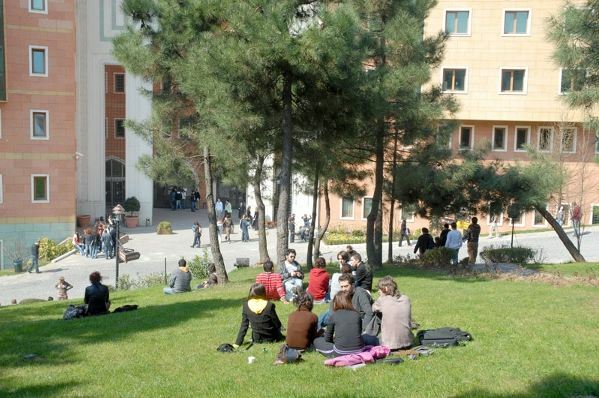 By the end of Level 1, any of the following might have happened: every Monday two or three new students of varying abilities will have been incorporated into the already diverse class; at least two students will have requested – and been refused – a level change; one student will transpire to be dyslexic and another will have hearing difficulties; three students will have dropped out; eight students will have regularly used Google Translate to do their homework; two students will refuse to do pairwork together; one student (male) will always be the first to answer the teacher’s display questions; two of the students will have embarked on a torrid affair in which English is the lingua franca; one student will have memorised a 2000-item word list; another student will have attempted to read an abridged version of Sense and Sensibility; two students will be working illegally as kitchen staff where, again, the only common language is English; the teacher will have substituted several of the texts in the coursebook with photocopies of authentic material; one student will sit and pass her driving test in English; the teacher will have corrected the same errors a hundred times while completely ignoring others; during a flu epidemic a substitute teacher will teach the class nothing but phrasal verbs for a week…. And so on. You get the picture. In short, whatever they have achieved, it will not be the ability “to express themselves simply but correctly in the present, past and future…”. Nor will the coursebook have had much to do with it. Language learning, whether classroom-based or naturalistic, whether in an EFL or an ESL context, is capricious, opportunistic, idiosyncratic and seldom amenable to external manipulation. Yet advocates of coursebooks and of syllabuses share a touching faith in their capacity to impose order on chaos, uniformity on complexity. Predicated on a unitary view of language and of learning, the coursebook/syllabus is enlisted with the task of bulldozing a path through the diversity, spontaneity, unpredictability and general messiness of the classroom jungle. In so doing, it will ride rough-shod over the delicate eco-systems that inhabit that jungle. It’s a bit like shooting an arrow into a flock of starlings. You’ll get one or two, but that’s all. And, in the end, there’ll be no noticeable effect on the flock as a whole. In this sense the coursebook/syllabus is very much a modernist phenomenon. Just to remind you, the ‘modernist project’ holds that knowledge is unitary, stable, objective and disinterested, and that, by extension, learning is ‘a one-way road from ignorance to knowledge’ (Felman, 1987, cited by Mann 1999: 38). As a tool designed to leverage uniform ‘improvement’ on systems that are inherently unstable, the coursebook/syllabus embodies a ‘grand narrative’ mentality, in which ‘development takes place through linear progression and contributes to the greater good, which is emancipatory in nature, and passed on from one generation to the next’ (Mann 1999:37 – 38). You only have to look at the portentous titles in the publishers’ catalogues, with their promise of ultimate consummation, to see how the current paradigm is framed in ‘grand narrative’ terms: Headway, Success, Horizons, Solutions, Outcomes, Open Doors, Way Ahead, Achieve, and so on. An alternative approach – one that aims at exploiting diversity rather than taming it – is proposed by Michael Breen (1999), in a paper which pre-dates Dogme, but which might well have inspired it. In order to cope with the inherent diversity and particularity of classroom life, Breen argues that “the classroom group needs to be a dynamic self-organising learning community”. He adds that “a postmodern pedagogy locates experience as a core starting point and constant focus of attention. Classroom work builds directly upon learner and teacher experiences. The focus is on doing things, upon action, and interpreting the experience of, and outcomes from action” (p.54). Language, in this pluralistic, multi-vocal context, emerges out of communal activity, shaped by the need to render experience into words. (In an earlier paper, Breen  had written: “‘The language I learn in the classroom is a communal product derived through a jointly constructed process”.) Whereas, from a modernist perspective, education is all about the reproduction of existing practices (witness the supremacy of native speaker models), in a postmodern pedagogy, “a major objective for learners would be to acquire new voices and new ways of articulating experiences and ideas. The culture of the classroom group would need to place high value on such diversity and multi-vocality and to assert it as a key attribute of the language class” (p.60. emphasis in original). Way ahead of his time, Breen argues the case for the ‘porous classroom’, in which the boundaries between the classroom, the school, the society, and the world are weak and permeable: “In such a context, access to what counts as knowledge and its construction and reconstruction is likely to be rendered almost infinite because of the availability of technology. The language classroom ceases to be the place where knowledge of language is made available by teacher and materials for learners and becomes the place from which knowledge of language and its use is sought by teacher and learners together; the classroom walls become its windows” (p.55). Rather than being a transmitter of knowledge, either directly, or knowledge as commodified in the pages of the coursebook, the teacher is re-construed as a ‘cultural worker’, not only forming and maintaining the classroom culture, but also facilitating a research process “resembling that of linguistic and cultural anthropology” (p.57). Through engagement in language-based activity, the learners become researchers of the language themselves, propelled by their diverse (but not necessarily divergent) needs and interests, “and this process occurs largely independently of the intervention of explicit teaching, not least because different learners move at a different pace and have different preferences in how they go about the task. The essential ingredients, however, appear to be an input-rich environment, enthusiastic persistence, and the learner’s search for understanding and the wish to share more and more complex meanings with supportive others” (p. 60). Teaching, in this paradigm, is less about navigating the container-ship of the class through the narrow canal of the coursebook/syllabus than about shepherding a motley flotilla of little boats, in all weathers, across the open sea, in whatever direction and at whatever speed they have elected to go. Breen, M. (1985) ‘The social context for language learning – a neglected situation?’ Studies in Second Language Acquisition, 7. Breen, M.P. (1999) ‘Teaching language in the postmodern classroom’, in Ribé, R. (ed.) Developng Learner Autonomy in Foreign Language Learning, Barcelona: University of Barcelona Press. Mann, S. J. (1999) ‘A postmodern perspective on autonomy’, in Ribé, R. (ed.) Developng Learner Autonomy in Foreign Language Learning, Barcelona: University of Barcelona Press. Illustrations from Hemming, J., and Gatenby, E.V. 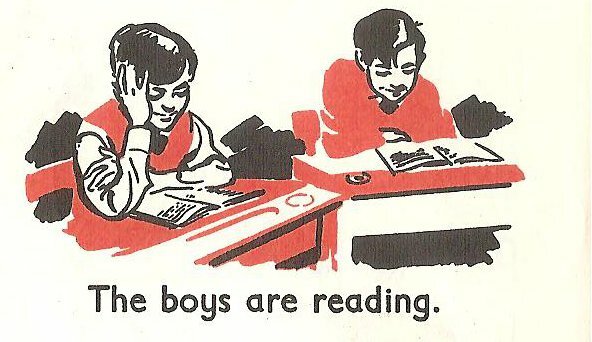 (1958) Absorbing English Book 1, London: Longman. I’m moderating a Diploma course discussion on methodology this week, so, for a change I thought I’d post a short video of me going on about it. “Methods are of little interest” Kelly, L.G. 1969. 25 Centuries of Language Teaching. Rowley, MA: Newbury House, p. 2. “The development of language-teaching methods … has in fact been empirical rather than theory-directed. […] The fact seems to be that teachers have ‘followed their noses’ and adopted a generally eclectic approach to teaching methods…” Corder, S. P. 1973. Introducing Applied Linguistics. Harmondsworth: Penguin. pp. 135-6. “During the sixties and seventies several developments indicate a shift in language pedagogy away from the single method concept as the main approach to language teaching.” Stern, H.H. 1983. Fundamental Concepts of Language Teaching. Oxford University Press, p. 477. “The widespread dissatisfaction with the conventional concept of method has produced what I have called a postmethod condition.” Kumaravadivelu, B. 1994. The Postmethod condition: (E)merging strategies for second/foreign language teaching. TESOL Quarterly, 28, p. 43. “Methods, however the term is defined, are not dead. Teachers seem to be aware of both the usefulness of methods and the need to go beyond them.” Bell, D. 2007. Do teachers think that methods are dead? ELT Journal, 61, p. 143. “I consistently use method to refer to established methods conceptualised and constructed by experts in the field …. I use the term, methodology, to refer to what practicing teachers actually do in the classroom in order to achieve their stated or unstated teaching objectives.” Kumaravadivelu, B. 2006. Understanding Languge Teaching: From Method to Postmethod. Mahwah, NJ: Lawrence Erlbaum, p. 84. “The concept of method has not been replaced by the concept of postmethod but rather by an era of textbook-defined practice. What the majority of teachers teach and how they teach … are now determined by textbooks.” Akbari, R. 2008. Postmethod discourse and practice. TESOL Quarterly, 42/4, p. 647.